I cannot believe my baby is almost 17. Where did this year go? It seems as though the years are slipping through my fingers, faster and faster. She is almost done with her Junior year of high school. Her last day as a Junior will be May 25. She will then be officially a Senior! I want her to have a place where she can enjoy the memories of being 16. 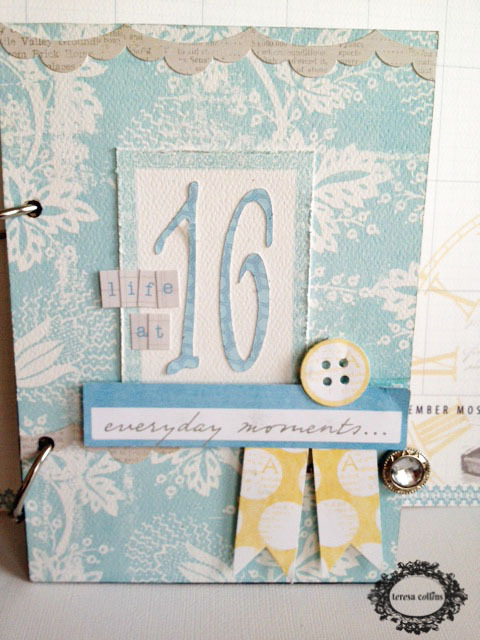 I shared this little mini on Teresa's Design Team blog today. 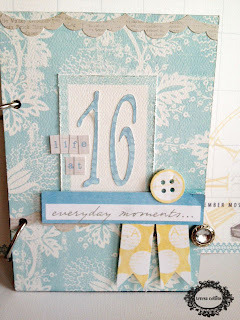 If you would like to see some of the inside pages...head on over there.